At the age of twenty-five, Ed Burns directed and produced his first film on a tiny $25,000 budget. The Brothers McMullen went on to win the Grand Jury Prize at the Sundance Film Festival in 1995, and established the working-class Irish American filmmaker as a talent to watch. In the twenty years since, Burns has made ten more films (She’s the One, Sidewalks of New York, and The Fitzgerald Family Christmas), while also acting in big budget Hollywood movies (Saving Private Ryan), hit television shows (Entourage and Mob City), and pioneering a new distribution network for indie filmmakers online and with TV’s On Demand service (“why open a film in twenty art houses when you can open in twenty million homes?”). 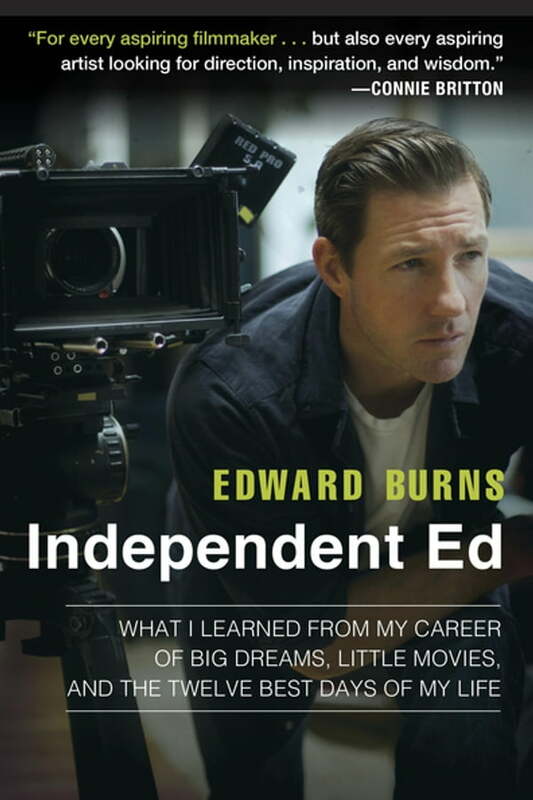 Chronicling the struggles and the long hours as well as the heady moments when months of planning and writing come to fruition, Independent Ed is a must-read for movie fans, film students, and everyone who loves a gripping tale about what it takes to forge your own path in work and life.